Obviously there are other adjuncts that can change the color of beer (i.e brightly colored fruit like cherries, dark sugars, etc...), but another thing that could be done is an excessively long boil time. Most worts are boiled for 60-90 minutes, but that can be significantly increased. Longer boil times results in darker, more concentrated wort and the creation of melanoidins (think browned foods like grilled meats or bread crusts). In other words, long boil times results in a sorta caramelization of the wort. 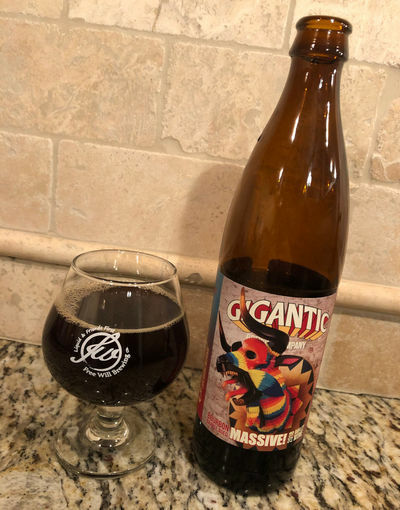 Enter Gigantic Brewing's Massive! 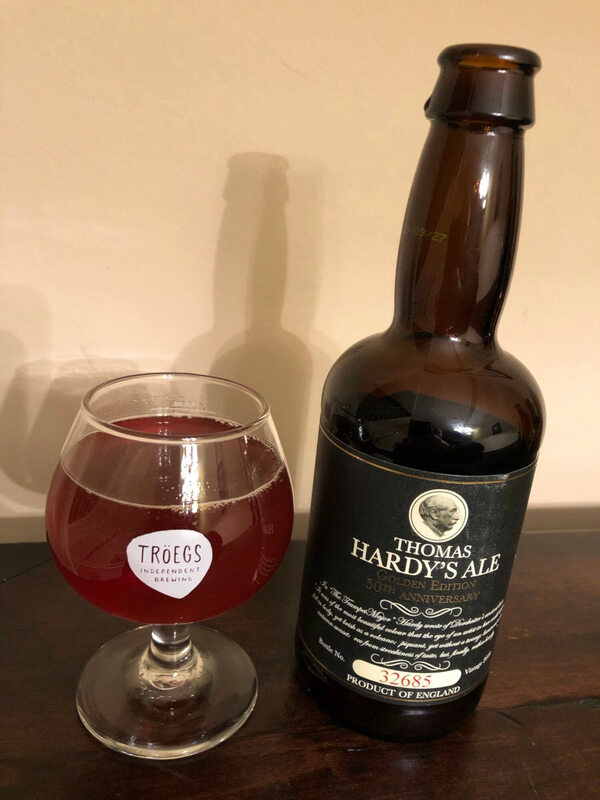 This is a barleywine brewed with British Golden Promise malt (a pale base malt) that's been boiled for 8 hours, resulting in a rather dark colored beer. Age it in Heaven Hill Bourbon barrels for two years, and that adds tons of complementary flavors of caramel, oak, and vanilla. My kinda bwizzle #BiL. Beer Nerd Details: 14.3% ABV bottled (500 ml). 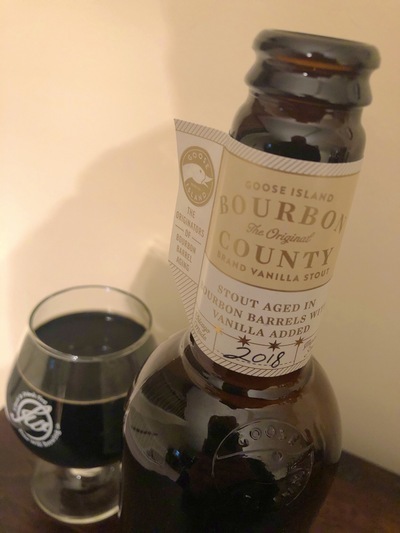 Drank out of a snifter on 12/31/18. Vintage: 2018. I've also had Gigantic's Most Most Premium Russian Imperial Stout, which was quite nice and probably should have been reviewed here. I shall endeavor to do better in the future. Beer Nerd Details: 13% ABV bottled (11.15 ounces/330 ml). Drank out of a snifter on 12/7/18. Bottle No. 32685. Vintage 2018. Best by: 19/09/27. Beer Nerd Details: 12.7% ABV bottled (8.45 ounces/250 ml). Drank out of a snifter on 12/7/18. Bottle No. 18836. Vintage 2017. Best by: 29/10/27. So I enjoyed this exercise and it's always nice to delve into historically significant beer. I have another of the Golden Edition sitting in the cellar for a rainy day 8-10 years from now. Maybe. Picture, if you will, a beer. Four simple ingredients, added to which a fifth: the barrel. 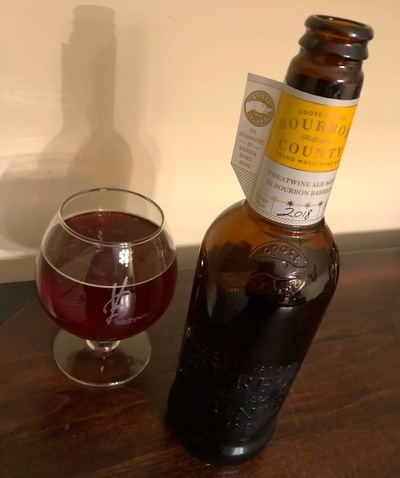 In this case, a blend of barleywine aged in bourbon and brandy barrels. An enticing elixir To Serve Man. You're traveling through another dimension, a dimension not only of sight and sound but of mind. A journey into a wondrous land of bwizzle. Next stop, Bottle Logic. Beer Nerd Details: 13.7% ABV bottled (500 ml). Drank out of a snifter on 11/2/18. Yes, I drank this over two months ago and am only getting to it now that I have Time Enough at Last. Alright, enough with the Twilight Zone puns. 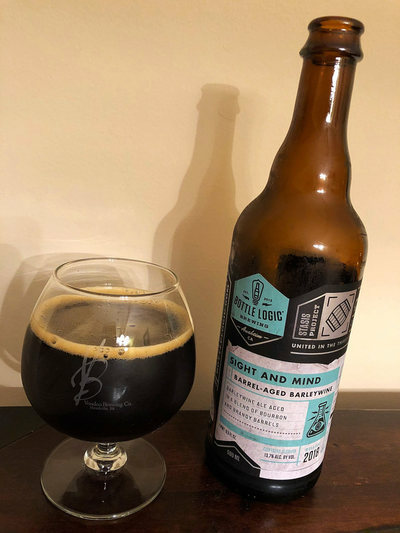 This is a great beer and fully deserving of the hype around Bottle Logic, which is all in the Eye of the Beholder. Sorry, couldn't resist. Incidentally, I just realized that Serling never said "Picture, if you will" in the Twilight Zone, but rather, his other show, Night Gallery. Drats. Truly, we have entered a land of both shadow and substance. Beer Nerd Details: 14.9% ABV bottled (500 ml). Drank out of a snifter on 11/23/18. Bottled on: 05SEP18. Beer Nerd Details: 15.4% ABV bottled (500 ml). Drank out of a snifter on 11/24/18. Bottled on: 13AUG18. Beer Nerd Details: 15.1% ABV bottled (500 ml). 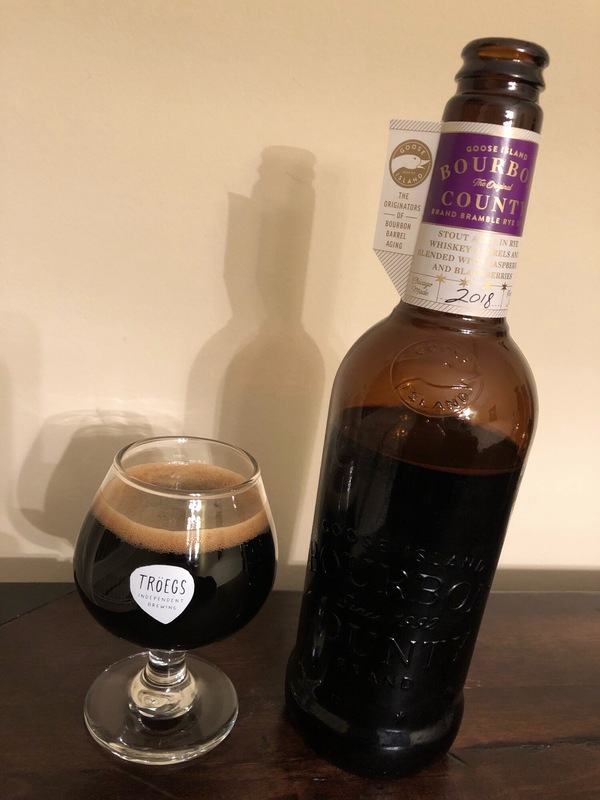 Drank out of a snifter on 11/25/18. Bottled on: 27SEP18. Beer Nerd Details: 15.2% ABV bottled (500 ml). Drank out of a snifter on 12/1/18. Bottled on: 18SEP18. Beer Nerd Details: 12.7% ABV bottled (500 ml). Drank out of a snifter on 12/3/18. Bottled on: 24AUG18. 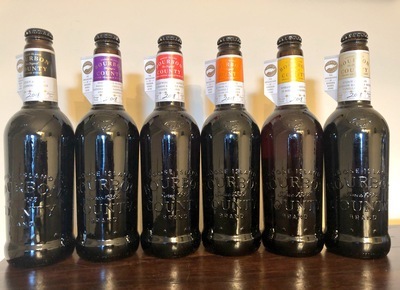 Certainly an interesting crop, and the Chicago exclusives like the Reserve (aged in Elijah Craig barrels) and Proprietor's (I think some sort of chocolate monster this year) sound great. Still, I always fall back on the original BCBS, and drink plenty throughout the year. 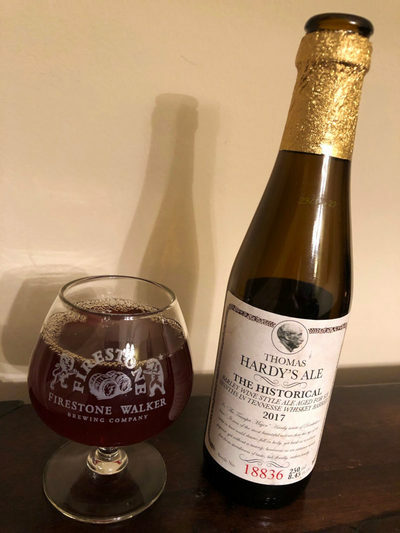 Here's to hoping they bring back the Barleywine next year. In the meantime, stout season will continue with a local brewery's take on a BBA stout series, though perhaps I'll mix things up a bit and review something different next. Until then, keep watching the skies! Or, uh, this space. You'll probably find more beer talk here, and not the skies. But you should probably watch the skies too. 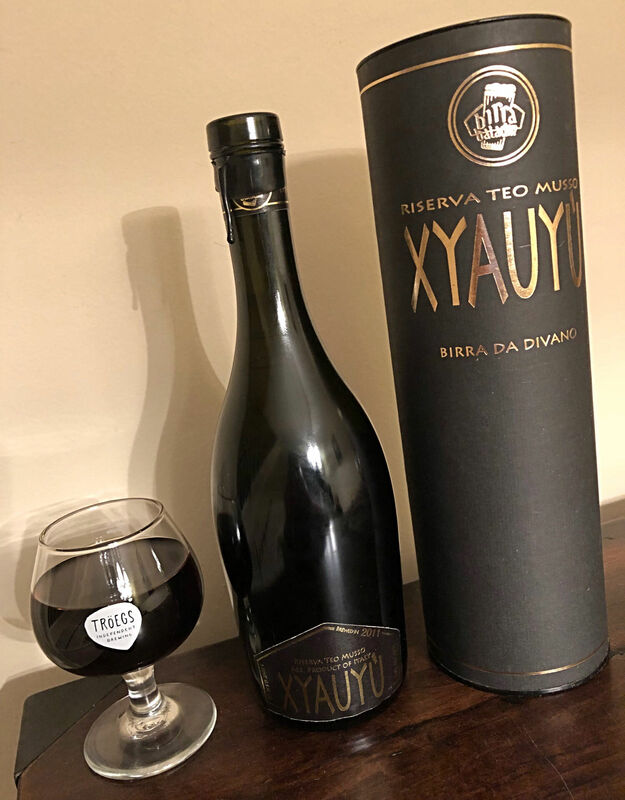 A solid decade of beer obsession has weakened certain of my more frugal impulses, sometimes to the extreme level of buying beers like Baladin's line of still barleywines like Xyauyù. It'll put a hurting on your wallet for sure, but I must say, there's nothing else quite like it. 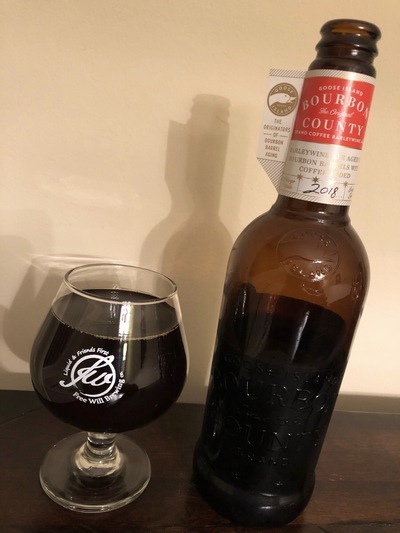 This is a barleywine (#BiL) that has been exposed to air in order to kick off an intentional bout of oxidation, then aged for 2.5 to 3.5 years before release. It's bottled without carbonation and comes completely still. The whole process is tremendously unusual for beer, but has an air of dessert wines like an old tawny port or sipping sherry. I suppose some barleywines actually live up to their name. There's a whole bunch of variants, including ones aged in differing barrels and tea or tobacco or other wacky ingredients, but to my mind, the regular ol' gold label is pretty spectacular by itself. Beer Nerd Details: 14% ABV bottled (500 ml waxed and corked; packaged in a tube). Drank out of a snifter on 8/31/18. Vintage: 2011. As mentioned above, there are variants, though I've only ever seen one or two. That being said, I may pull the trigger on one of those someday, though probably not anytime soon. That being said, I have another beer review coming for something uniquely pricey and boozy, so stay tuned. 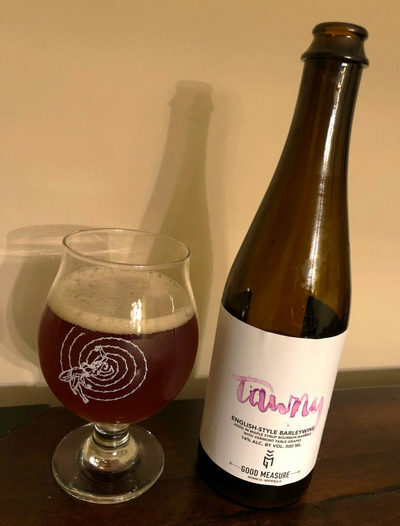 So Jackie O's Pub & Brewery is located in Athens, Ohio, and for this beer, they collaborated with Creature Comforts Brewing in... Athens, Georgia. This is surely not a coincidence and in fact, evidence of a deeper conspiracy. There is an Athens in New York and we all know the OG Athens in Greece. It's spreading. Fortunately this conspiracy seems to be aimed at making beer, so we might as well take advantage. Beer Nerd Details: 11.5% ABV bottled (375 ml). Drank out of a snifter on 7/15/18. Very nice, but situations like these always make me wonder: what would a more "normal" version of this be like. I tend to think the same beer without smoked malt would be better, but maybe I'm just yelling at clouds here. 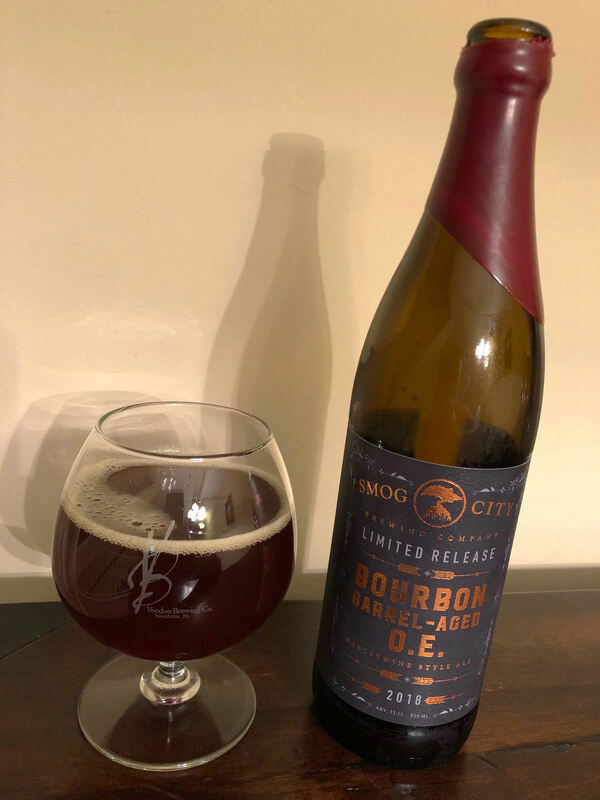 Smog City Bourbon Barrel-Aged O.E. It's not going to unseat ADWTD or Aaron as favorite barleywines, but few would, and this is much easier to get your hands on. 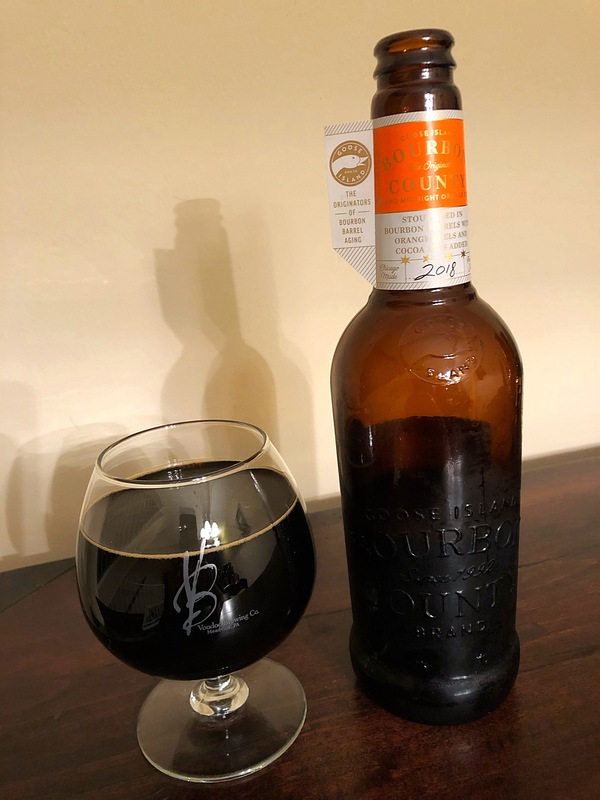 A couple of years ago, Alex from dontdrinkbeer.com noticed that while there was a Facebook group for seemingly every style of beer, there wasn't one for Barleywine. So he created Barleywine is Life (#BiL) and the group quickly became a wretched hive of scum and villainy. Seriously, it's a crazy little group of people and there's a surprising amount of drama. I know, it's the internets, what do you expect, but this is still a step above the usual dank memes and inappropriate comments (in, like, a good way). Beer Nerd Details: 14% ABV bottled (500 ml). Drank out of a snifter on 8/17/18. It was certainly nice to break up the giant wave of IPAs I've been drowning in of late (it's the struggle, you know?) with something like this, and while I wasn't a huge fan of the grape addition, it was at least an interesting experiment. I'd be curious to try more Good Measure stuff next time I'm in VT. I'm going to have to plan a trip for cooler months of the year so I don't overload on IPAs and Saisons the way I tend to do during the summer months. 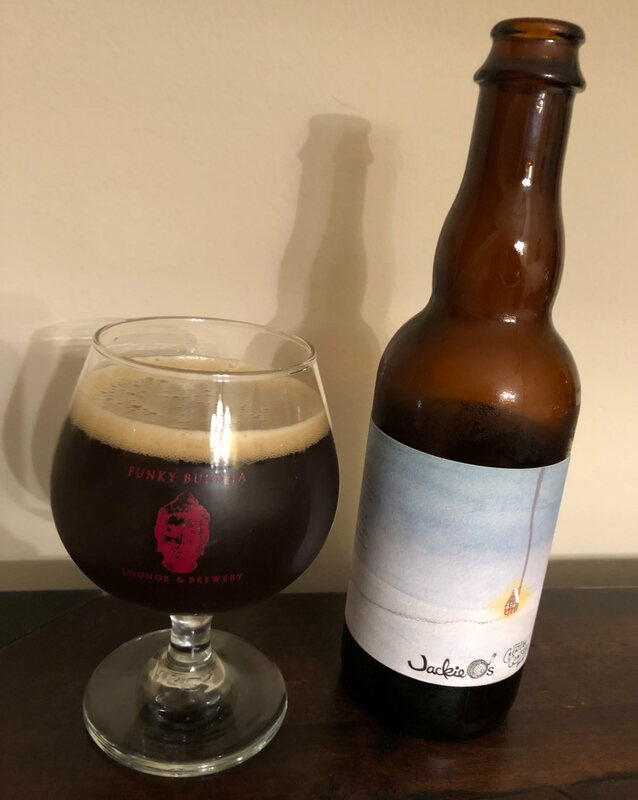 This page is an archive of recent entries in the Barleywine category. American Wild Ale is the previous category. Belgian Dark Ale is the next category.